If any of you out there have taken up with raising your chickens in the last few years, you are well aware that you are about to be gifted beautiful, fresh eggs almost every single day by almost every single hen. What a deal! These girls eat the bugs in the yard, and then keep my fridge (and several of my neighbor’s fridges also) constantly stocked with eggs. Our flock has diminished this winter a lot. I think we had 6 hens and one rooster when we brought home 16 new baby chicks to add to the flock. In the 5 weeks we’ve had them, we are down to only 2 hens. We will definitely need these babies! 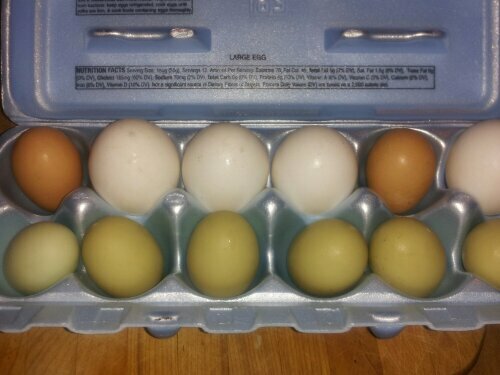 Fortunately, the two hens we have left are regular layers, producing 5 to 6 eggs every 7 days. In a few months, however, we will inundated with eggs: 12 to 16 a day! 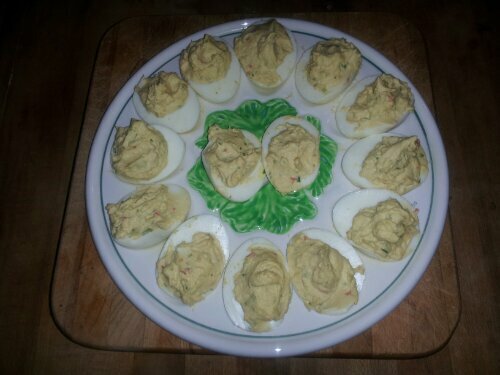 Time to share a few of my favorite deviled eggs recipe. This first one is how I first made deviled eggs for my husband after we first got married. 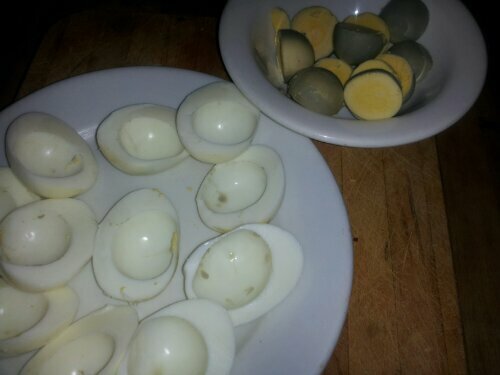 Although I grew up eating deviled eggs made by my mother, my grandmother and several aunts, I never actually made them. Neither did I ever make them during my catering years. I guess I just didn’t think that they tasted that great. Well, after tasting my classic deviled eggs the first time, my husband didn’t think so, either. He asked that I “spice them up”. Since he grew up in the heart of Cajun country, I assumed that meant adding a little trinity and some creole spice. Don’t all great Cajun dishes start with the trinity? Turns out, these are very good, and I still make them this way today. I also learned to hard boil my eggs the way his mother does: in a steamer. Set the steamer timer for 18 minutes if there cold, 15 if they’re hot; let cool for about 5 minutes, then run under cold water to cool down. Crack the shells and let sit in the cold water for about 10 minutes. This will help make them easier to peel. Over the years I’ve simplified this to oftentimes just include some finely minced red onion. 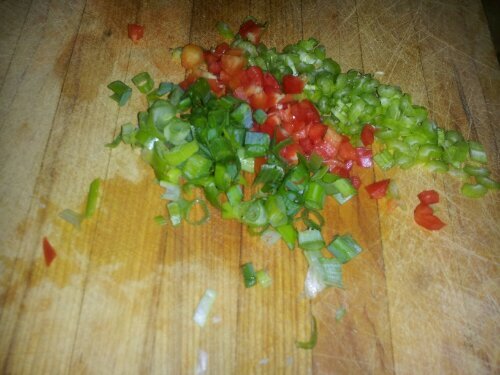 However, if you have the time and interest, a little bit of very finely minced celery and a tiny bit of finely minced green bell pepper are delicious. 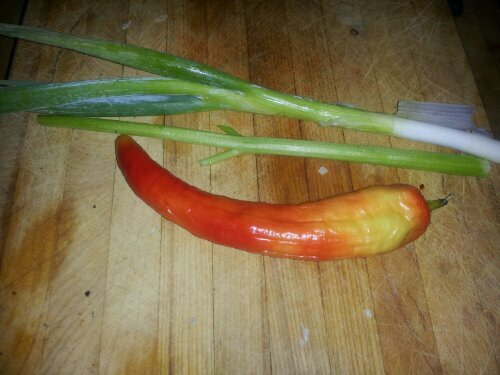 I just don’t always have bell pepper around, but we do love the refreshing green taste added by the bell pepper. It doesn’t take much. 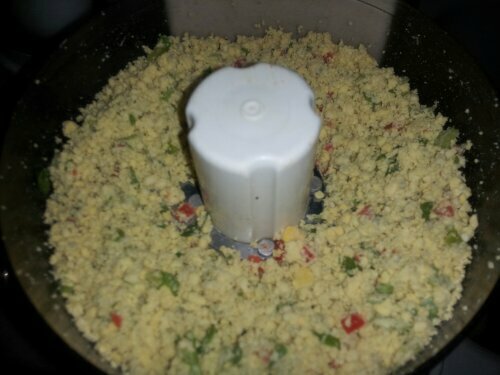 Peel the eggs and pop all the egg yolks into the bowl of a small food processor. Alternatively, mash the egg yolks with a fork in a small bow. 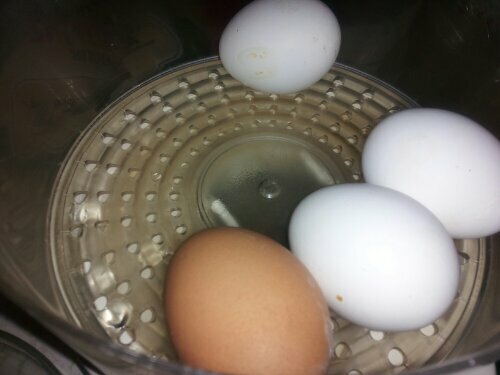 Lay the egg white halves on a platter or container. Add the mayonnaise, vegetables and seasonings to the (food processor) bowl, and process in short bursts till smooth and creamy. If you want a softer filling, add a little more mayonnaise and/or pickle juice. Taste for salt and pepper and adjust. Using a regular teaspoon, fill the egg white halves with the mixture.